The 2019 Volkswagen Passat is loaded with intuitive features and a capable engine. This midsize sedan pairs a 2.0L TSI® engine with a 6-speed automatic transmission for fuel-efficient performance on city streets, highways, and back roads alike. The Passat’s available 400W Fender® Premium Audio System pumps your favorite tunes through the speakers, and a standard Blind Spot Monitor alerts you to vehicles in your blind spot when you go to change lanes. 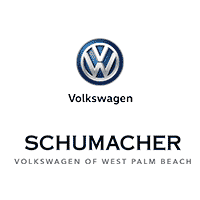 Test drive a Passat today in West Palm Beach, Florida.